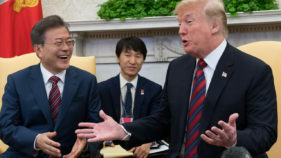 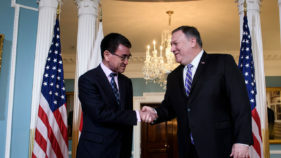 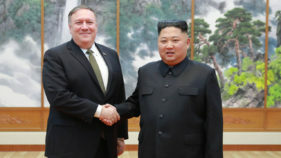 US Secretary of State Mike Pompeo said Wednesday he expected "bumpy" talks ahead with North Korea but that he still hoped to reach a potentially landmark denuclearization deal. 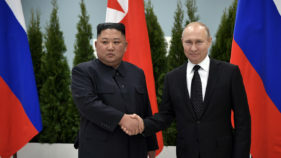 Russia's Vladimir Putin and North Korea's Kim Jong Un met face-to-face for the first time on Thursday, vowing to seek closer ties as they look to counter US influence. 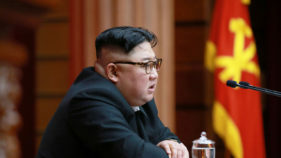 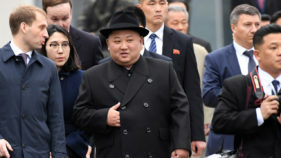 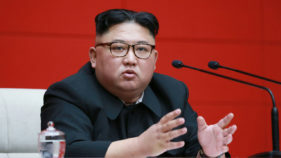 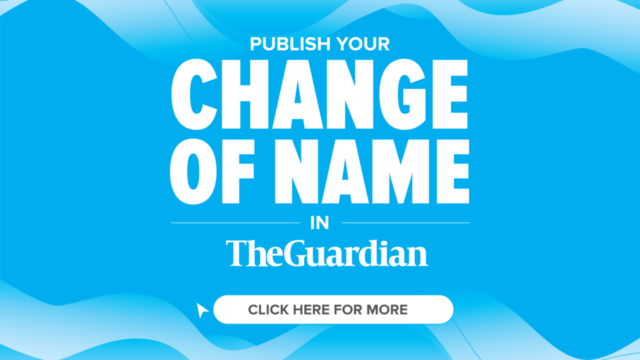 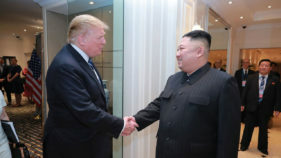 North Korean leader Kim Jong Un arrived in Russia's Pacific port city of Vladivostok on Wednesday for the first summit with Vladimir Putin, as Pyongyang seeks support in its nuclear deadlock with the United States. 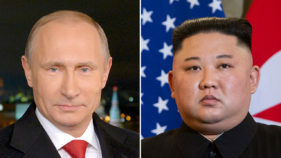 Kim Jong Un and President Vladimir Putin will meet in Russia's Far East on Thursday, the Kremlin said, as the North Korean leader looks to rebuild ties with an old ally amid a standoff with the United States. 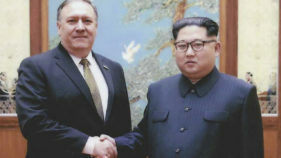 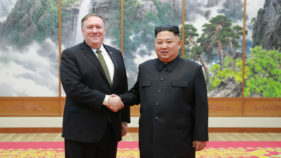 US Secretary of State Mike Pompeo said Friday he was "still in charge of the team" negotiating with North Korea over its nuclear program, after Pyongyang demanded he be removed from the talks.